Whether you are starting a new business, expanding an existing business or planning for the next generation of business ownership, timely legal advice can keep you from making costly mistakes. At The Hamzy Law Firm, LLC, in Bristol, Connecticut, our lawyers will pay attention to the details to make sure your interests are protected. Our law firm’s full-service approach to legal representation has helped us to develop and maintain a close working relationship with the Connecticut business owners we represent. For businesses that are too small to have an in-house legal department, our lawyers can serve the role of a general corporate counsel on an as-needed basis. Business entity formation: No one should enter into a business without forming a business entity such as a limited liability company (LLC) or corporation. Otherwise, your personal assets could be at risk if your business is sued. Partnership agreements: If you are going into business with another person, spending a small amount of money now on drafting clear agreements can save you from costly litigation later. Financing: Whether you are starting a business, buying a business, expanding a business, buying commercial real estate or refinancing old debt, our lawyers will help you obtain financing. 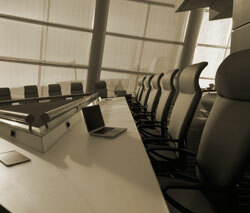 Business contracts: Our lawyers draft and review business contracts and lease agreements. Bankruptcy: We provide bankruptcy advice for small businesses. Our lawyers provide the highest quality service at reasonable rates. We also provide personal legal services for business owners such as divorce, estate planning and personal injury. For more information or to speak to an experienced Bristol business law attorney, please contact us online or by phone at 860-589-6525 to schedule an appointment.